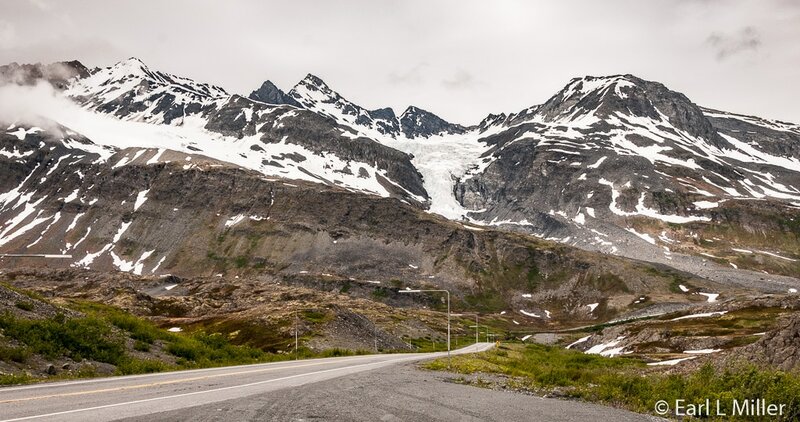 On the Richardson Highway, before entering the town of Valdez, take an hour to enjoy Worthington Glacier, Thompson Pass, and the pull-offs of Keystone Canyon to savor amazing scenery. You’ll visit two waterfalls, an accessible glacier, and snow capped mountains. It’s the time to relax, sniff the mountain air, and enjoy the beauty surrounding you. At Milepost 28.7 on the Richardson Highway, you’ll discover Worthington Glacier State Recreation Site. 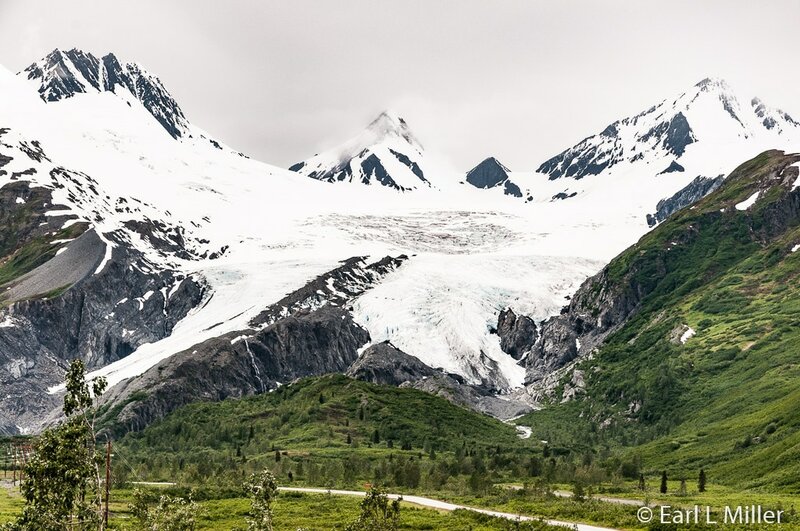 This 113-acre site involves Worthington Glacier, one of the most visited spots in the Copper River Basin. Visitors find trails, picnic sites, picnic shelters, water, and restrooms at this roadside park. 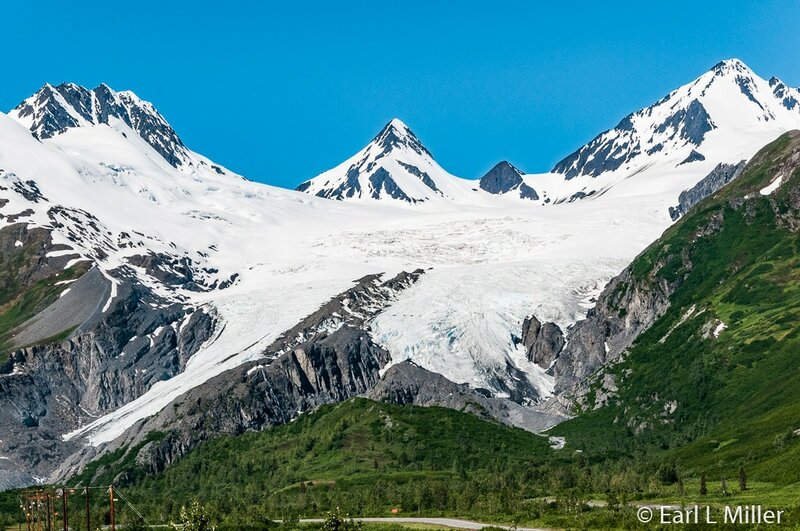 Worthington is regarded as one of Alaska’s most accessible glaciers. It almost flows onto the road from the Chugach Mountains. From the interpretive shelter, the one-mile Moraine Trail takes you closer so that you can observe the cracks and pools at the glacier’s terminus. The glacier is so special that it is a national historic landmark. During the last Ice Age, 20,000 years ago, ice filled the entire valley which this glacier occupies. The ice flowed in two directions. It came east to feed an even larger glacier that was moving down the Tsina River Valley. It also moved southwest over Thompson Pass and into Prince William Sound. Worthington Glacier’s latest advance stopped around 150 years ago, and it’s now retreating. Its terminal moraine, near the highway, marks the spot where it stopped advancing, dumped debris for many years, and started its retreat. It’s expected that Worthington will continue to retreat for many years due to climate change. However, it is highly unlikely that it will disappear for several reasons. These are the glacier’s high elevation, the area’s winter temperatures, and the amount of annual snowfall accumulation it receives. Its northeastern exposure protects it from the sun. You will next cross Thompson Pass, a 2,805 foot high gap in the Chugach Mountains that are northeast of Valdez. Located at Mile Post 26, it’s the last pass before Valdez. There are spots to pull over on either side of the road that mark the top of Thompson Pass. Look for alpine flowers. Take a hike. Listen for the high-pitched sounds of marmots (Alaskan groundhogs). Enjoy the view. Beware that the weather can be horrible here since the mountains get clobbered by snow, rain, and wind. Storms come off the North Pacific, run into this coastal range, and dump their loads. It is billed as the snowiest place in Alaska, recording 551.5 inches of snow per year on average. During the winter of 1952-1953, 974.1 inches of snow fell. That was the most ever recorded in one season at one location anywhere in the fifty states. Throughout the day we arrived at Valdez, it was cold and rainy. The mountains were enveloped in fog. Three days later, when we returned, the weather had changed to bright sunshine and light worthy of photography. Shortly after crossing the pass, you’ll drive to Keystone Canyon, Mileposts 15.8 through 12.9, where you will see two beautiful waterfalls, Horsetail and Bridal Falls. It is also here that a landscape change is noticeable as the trees become taller, denser, and greener. The terrain has moved from being a mountain coniferous forest to an Arctic rainforest. 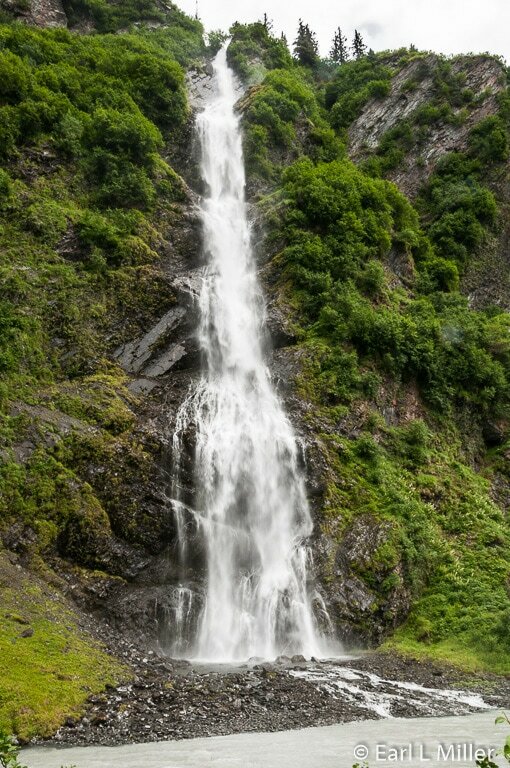 At Horsetail Falls, Milepost 13.5, hikers have an opportunity to check out an ancient trail. It’s the Goat Trail which Native Alaskans used for many years. In 1898, U. S. Army Captain William Abercrombie was sent to Valdez with orders to find or build a road connecting Valdez to interior Alaska. After many searches, he found an old native trail that began in Keystone Canyon. He called it the Pack Trail. Concurrently, Abercrombie named the pass after Frank Thomson, the sixth president of the Pennsylvania Railroad. Abercrombie misspelled the name “Thompson” on his maps, but the spelling stuck. Abercrombie also established Fort Liscum which operated from 1900 to 1923. It’s now the site of the Alyeska Marine Terminal of the Trans-Alaska Pipeline. 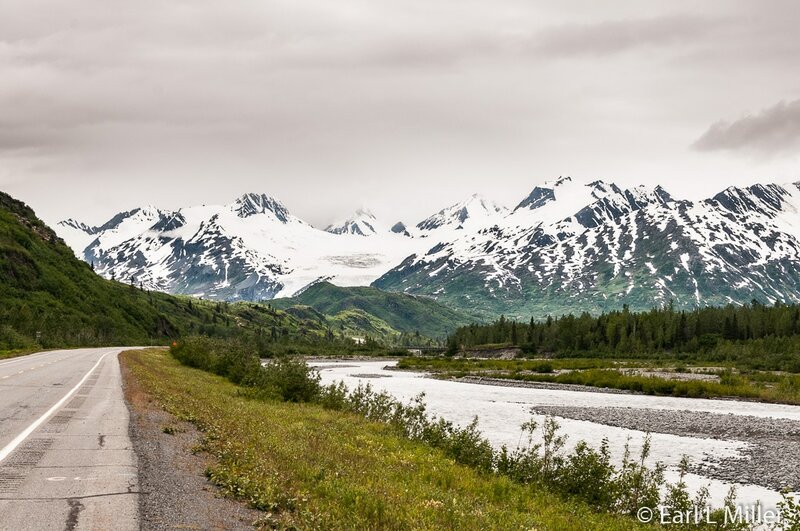 The 1902 Fairbanks Gold Rush and the construction of a WAMCATS telegraph line in 1903 made the Valdez-to-Eagle trail, formerly known as the Pack Trail, one of the most important access routes to the Alaskan Interior. Transportation was becoming important. In 1905, the Valdez Transportation Company offered a nine-day stagecoach trip to Fairbanks for $150. Because of such heavy usage, the Alaska Road Commission widened the road to accommodate sleds and wagons in 1910. It was renamed the Military or Valdez Trail. U. S. Army General Wilds P. Richardson headed the project. The new Richardson Highway, built in 1945, was named after him. Even though the Military Trail was difficult to maintain due to snow and rock slides, it was opened to automobiles in 1913. It was destroyed in July 1919 by massive flooding but rebuilt by 1921 when its name changed to Goat Trail. Although the Richardson Highway was completed, the Goat Trail was still used. The trail was not abandoned until 1952 when a major flood destroyed its 317-foot long Lowe River Bridge, located just upstream from Keystone Canyon’s mouth. The Richardson Highway followed Keystone Canyon’s bottom. The Goat Trail wound in and out of the mountains and had a history of washing out several times. Because of heavy snowfall, the Richardson Highway was only used during the summer until 1950. It was that year that a freight company foreman demonstrated that the pass could be kept open with snow plows, making it driveable year round. 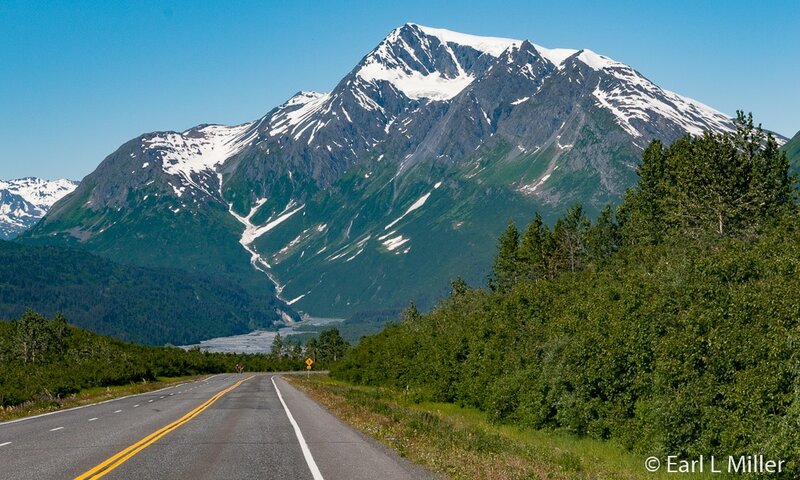 In 1957, the Alaska Road Commission, part of the federal Department of the Interior, paved the road. The Goat Trail is popular for hiking. Its trailhead starts at the wood sign just past 330-foot Horsetail Falls in Keystone Canyon. That is Mile post 13.9 on the Richardson Highway. The trail follows the Lowe River and is passable for 1.6 miles one way. As copper and gold mining flourished in the Valdez area, between 1911 and 1916, attempts to build a railroad were undertaken through the canyon and into copper country. You can still see a tunnel, built at this time, while driving through Keystone Canyon. The canyon is popular for rafting and kayaking the Lowe River. Mountain climbers enjoy trying their skills on its steep-sided rock walls. During the winter, ice climbers seek it out. 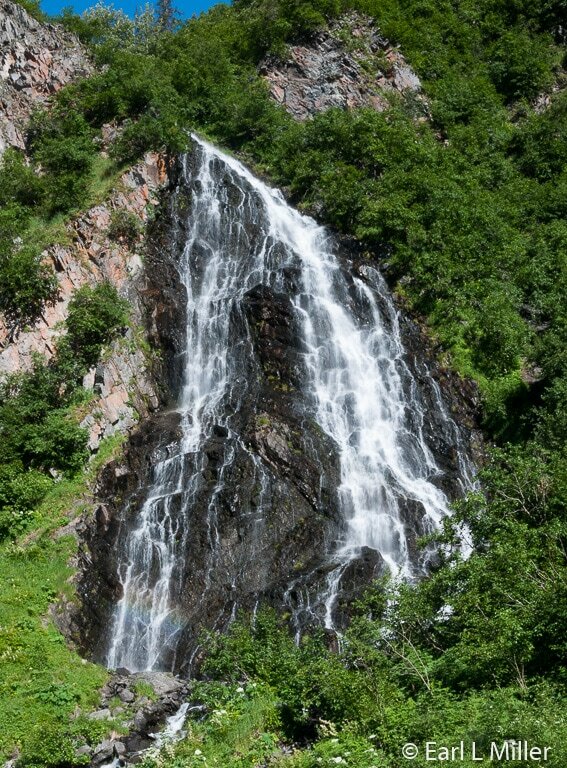 At Mile Post 13, stop to admire 400-foot Bridal Veil Falls. It’s easy to spot since a large sign and pull out mark its location. It’s a seasonal falls so the best time to see it is from June 1 to September 30. During the winter, it becomes a very difficult ice climb. 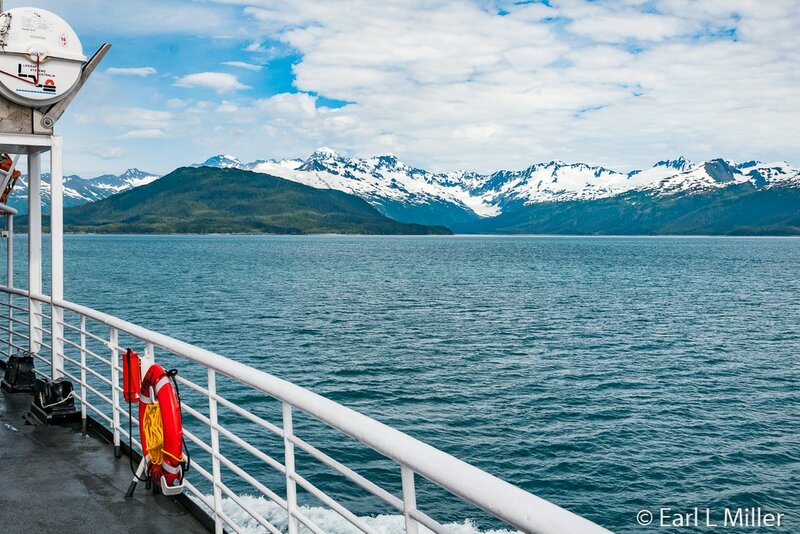 The day after we saw the beautiful scenery around Valdez, we boarded an Alaska Marine Highway System ferry for a six-hour trip across Prince William Sound to Whittier. We then drove to Seward which is one port Alaskan ferries no longer visit. 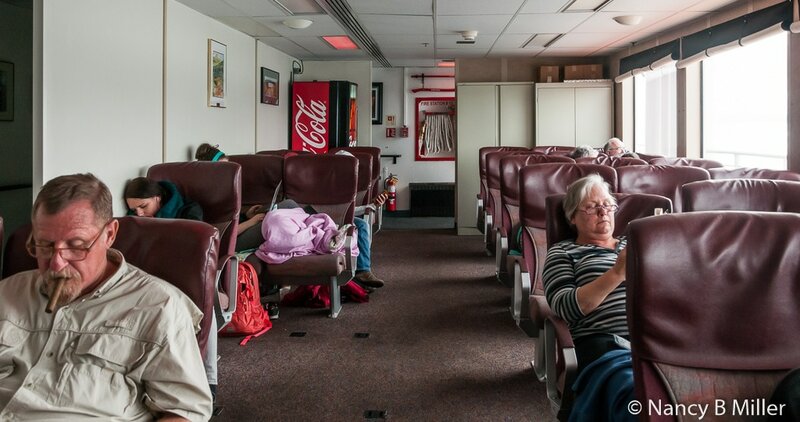 Although the Alaska ferry system started in 1948, it has only been operating year-round since 1963. There are currently 11 vessels in its fleet with additional ferries planned to initiate service in 2018. It is part of the National Highway System and receives federal highway funding. In 1948, three Haines residents, Steve Homer and Ray and Gustav Gelotte, started Chilkoot Motorship Lines when they purchased the MV Chilkoot, a converted landing craft. The Board of Road Commissioners supported their efforts by providing funding for three wooden ramps to be built at Tee Harbor, Haines, and Skagway. These were in service in 1949. The firm faced bankruptcy after a few years of service. 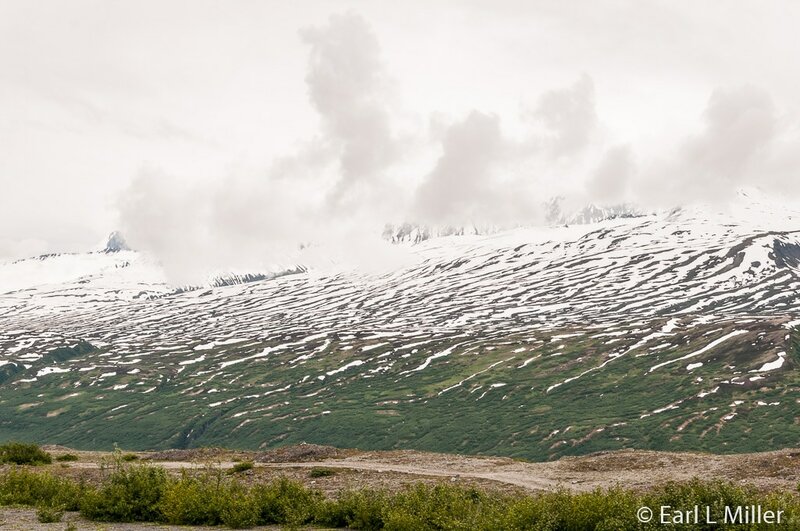 Since the road to Haines was closed due to snow between October and May 15, they could not operate year-round. As the news spread that the service might be discontinued, the Territorial Government offered to purchase the business. Chilkoot Motorship Lines was sold in June 1951. Soon the MV Chilkoot proved to be too small a vessel. The MV Chilkat started daily service between Juneau, Haines, and Skagway on April 18, 1957. When Alaska achieved statehood on January 3, 1959, it became the first state-owned ferry. The boat moved to Prince William Sound in 1960 and started service in South Central Alaska. In 1988, it was sold. In 1959, the first Alaska legislature passed the Alaska Ferry Transportation Act. That same year, voters approved bond issues totaling $18 million to expand the ferry fleet. This enabled the Alaska Maritime commission to build three new ships and construct docks throughout Southeast Alaska and the Kenai Peninsula. When the Division of Marine Transportation was established in 1963, the Alaska Marine Highway System was founded. The first vessel to be built was the MV Malaspina followed by the MV Matanuska and MV Taku. Ferry service was added to Ketchikan, Petersburg, Sitka, Wrangell, and Prince Rupert, B.C. In 1964, MV Tustumena, with a home port of Kodiak, came online. It was an unusual boat in that it had an elevator capable of loading and unloading vehicles without a ramp regardless of tide levels. It could be used in communities where a dedicated ramp that loaded cars directly onto the boat was not available. It is still the smallest AMHS vessel with cabins. Kodiak, Cordova, Homer, Seldovia, Valdez, and Seward were added to the system in 1964. All were serviced by the MV Tustumena. It was AMHS’s first year of service for both Southeast and Southwest Alaska. The company, by 1967, considered expanding service to the “Lower 48.” At first, since Canadian ferries were serving the area, it didn’t pay to venture further more to the south than Prince Rupert. However, two events changed AMHS's mind. One was the MV Queen of Prince Rupert running aground. This made it difficult to transport passengers between Prince Rupert and Southeast Alaska. The other reason was the rock slides that occurred on the highway out of Prince Rupert. AMHS decided then to create an alternate route and move their terminus to the state of Washington. No AMHS ships at that time had the necessary oceangoing certification required to carry passengers in open waters. That included portions of the trip between Southeast Alaska and Washington. Alaska Governor Wally Hickel ordered the AMHS to send a ship to Seattle while putting in a request to Congress to reclassify the route as inside waters. At this time, AMHS purchased the Stena Britannica from Norway renaming her the Wickersham. The problem was she was never reflagged as an American ship. The Jones Act (Merchant Marine Act of 1920) stated that commercial operation between US ports of call of non American ships was a violation. Hickel’s request was denied, and the State of Alaska was unable to get a waiver for the Wickersham which interfered with her schedule. She could pick up passengers in Washington then proceed to Alaska with an intermediary stop in Canada. However, she was not allowed to transport passengers solely within Alaska. Today, the only AMHS accredited oceangoing vessels are the MV Tustumena and the MV Kennicott. By 1967, Seattle and Bellingham bid to have their city serve as the southern terminus for AMHS. Seattle won until it moved to Bellingham in 1989. Between 1969 and 1978, the MV Tustumena, the MV Malaspina, and the MV Mantanuska each grew 56 feet. Lengthening the ships meant more staterooms and vehicle capacity. However, it reduced their capability to serve small communities. That left the Taku as the only AMHS ship in Southeast Alaska serving these villages. More bonds were passed in 1966 and 1970. The AMHS ordered the MV LeConte in 1974 and the MV Aurora in 1977. Their small sizes allowed them to provide service to tiny ports. The company also added its largest ship, MV Columbia, which ran out of Ketchikan. The MV Tustumena initiated service in 1979 along the Alaska Peninsula to communities in the Aleutian Islands. AMHS continued adding Aleutian ports until the chain was completed in 1993 with service to Akutan. AMHS ships were important after the Exxon Valdez spill on March 24, 1989. The MV E. L. Bartlett managed the State of Alaska’s on scene response. Suction trucks placed in her car deck transformed her into a spill response vessel. The Aurora later relieved her. The MV E. L. Bartlett had gone into service in 1969 and reached Prince William Sound July 1. While in service, its primary ports were Valdez, Whittier, Tatitlek, and Cordova. It was named after Senator Edward Lewis “Bob” Bartlett, Alaska’s territorial delegate to Congress from 1945-1959. She was decommissioned in 2003. In 1998, the MV Kennicott joined the system with a home port of Valdez. What made this ship unusual is that it could be transformed into a command center for emergency teams who respond to an oil spill. She has a helicopter landing pad, a floating dock that is stored below deck, decontamination showers, and additional communications. New construction focused on shuttle ferries which ran their expected schedule and returned home within 12 hours. The MV Lituya was commissioned in 2004. It became the first shuttle ferry dedicated to a single route. The FVF Fairweather started service in 2003 with the FVF Chenega added the following year. The FVFs Fairweather and Chenega were special in two ways. They were the first all aluminum high-speed vehicle and passenger ferries built in the United States. They were also the first ferries built in the U.S. to comply with the stringent international High Speed Craft code. 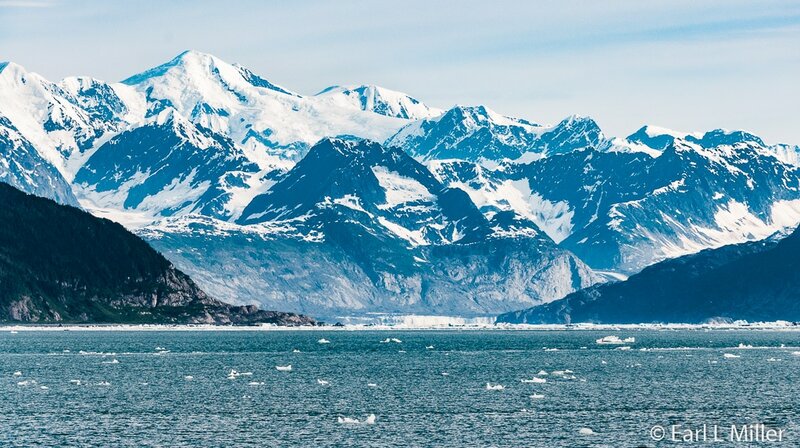 In 2002, the Alaska Marine Highway gained national recognition. It was named a National Scenic Byway. In 2005, it received another award when it was named an All-American Road by the Federal Highway Administration, the highest designation of the National Scenic Byway program. It is the only marine route to achieve both honors. A new port, Gustavus, Glacier Bay’s National Park and Preserve’s gateway, was added on November 2010. Spruce Island, just north of Kodiak, became part of the system on April 2012 with New Harbor added in June 2012. This meant AMHS provided service to 35 communities. In 2013, AMHS celebrated 50 years of service. Over the year, celebrations were held in 15 communities. Anchorage and Fairbanks joined in as well. Alaska’s congressional delegation entered statements into the Congressional Record while press nationwide covered the Golden Anniversary. Two new ships will join the fleet in 2018. Keels were laid for these on December 13, 2014 at the Vigor Shipyard in Ketchikan, One will be based in Juneau with the other in Haines. Another project involves a replacement for the MS Tustumena. The mainline routes provide service between Bellingham or Prince Rupert and Skagway. They stop in between at such ports as Ketchikan, Wrangell, Petersburg, Sitka, Juneau, and Haines. Kake and Hoonah, which are smaller communities, are served by mainline sailings. The system expanded to regular cross-gulf sailing in 1998 when the MV Kennicott joined the system. 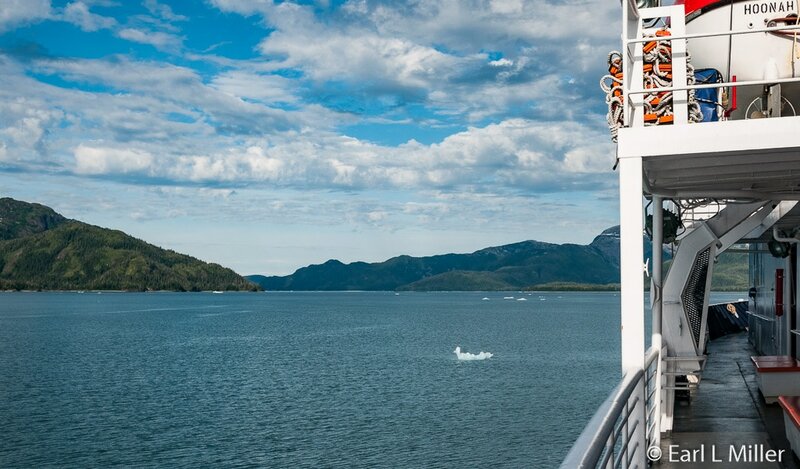 These sailings connect Southeastern Alaska with the South Central and Southwest regions of the state year-round . All of her cross-gulf trips during the summer months include a monthly stop at the port of Yakutat. The Southwest system serves Prince William Sound year-round. The MV Tustumena also provides regular service between Kodiak, Port Lions, Seldovia, and Homer year-round. It travels to the Aleutian Chain seasonally, during the summer months, stopping monthly at Dutch Harbor, Chignik, Sand Point, King Cove, False Pass, Akutan, and Cold Bay. The MV Aurora travels all year through the Sound to Valdez, Cordova, and Whittier. It no longer travels to Seward. Administrative offices for AHMS are in Ketchikan. A mini hub is in Juneau while other small operational hubs include Cordova (Prince William Sound), Ketchikan (Southern Panhandle), and Kodiak (South Central Alaska.) Service is year-round except as noted above. For further information or to book a reservation, go to the Alaska Marine Highway System web site. Under Travel Details, you will find Travel Policies covering everything from transporting animals, to facilities, baggage limitations, refunds, and cancellations. Travel Details has a full description of each ship under Our Fleet. We found reservations easy to make before we left our home. Since Valdez to Whittier was not on the MV Aurora’s schedule daily and no ferry went to Seward, we had to make sure our travel plans fit. Payment was due at the time of booking. We arrived at the ferry at 5:50 and boarded MV Aurora to Whittier at 6:35 a.m. How long in advance you have to arrive for check-in varies at the different ports. All vehicles and passengers have to go through security checks. It is important that all passengers have a government issued form of identification such as a driver’s license. Always give yourself extra time to catch the ferry since they don't wait for late passengers. No one is allowed to return to their car. Rvers cannot stay with their rigs. 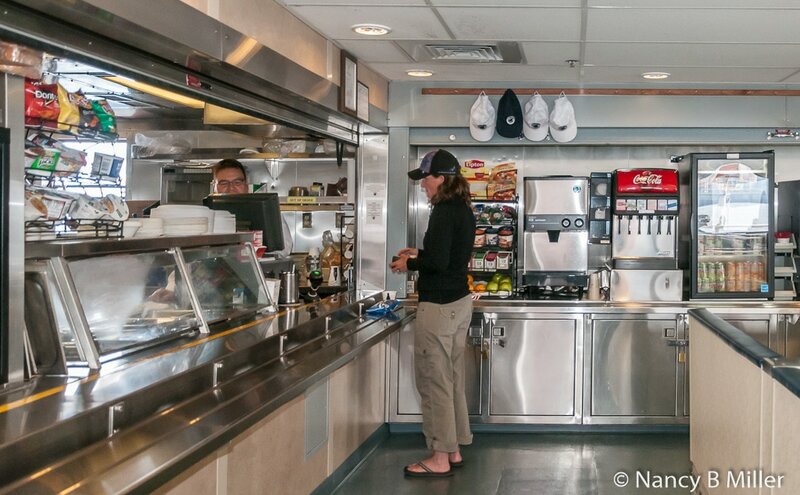 No electric is provided for them, and the staff seals propane tanks. There was little narration on board which is to be expected on a ferry. Our captain pointed out Bligh Island but nothing else. We could see ice from the Columbia Glacier. Since we did not enter the Columbia Fjord, we did not travel near this glacier. We spotted lots of islands and a couple of otters lying on their backs. The cafeteria offers sandwiches and desserts. I found the prices to be typical for Alaska. The two pulled pork/slaw sandwiches, fries, and Earl’s diet coke cost $21.75. They also had vending machines for snacks on board. Passengers who wish can bring their own coolers or box lunches. The leather seats were very comfortable with plenty of room to spread out. Some people went outside on the back of the ferry and watched the scenery from there. We arrived at 12:30 p.m. at Whittier, drove off the ferry at 12:43, passed through the tunnel, and headed for Seward, our next destination. The Anton Anderson Memorial Tunnel is one hitch to Whittier. This 2.5 mile tunnel, constructed as a railroad tunnel during World War II, has served cars, recreational vehicles, and trucks, subject to size restrictions, since June 7, 2000. It is the second longest highway tunnel and the longest combined rail and highway tunnel in North America. Since the tunnel opened to vehicles, AMHS has gone to Whittier instead of Seward. That is because the driving distance between Anchorage and Whittier saves lots of miles for drivers. The tunnel operates on a one-way basis with a change in the travel direction every 30 minutes for vehicular traffic. It’s open to cars to Whittier on the half hour from 5:30 a.m. to 10:30 p.m. Cars leave from Whittier on the hour from 6 a.m. to 11 p.m. The trains also run on a schedule at 15 minutes before and after the hour. Trains can cause delays depending on the type of train. For example, if it is a freight train out of Whittier. If you are catching the ferry from Whittier, let’s say from Anchorage or Seward, arrive at least 10 minutes prior to the tunnel opening to go through. Traffic lines up and enters by vehicle type in a six-lane staging area at Bear Valley and in eight lanes at Whittier. For schedule information on the tunnel, go to the Anton Anderson Memorial Tunnel’s web site. The drive through the tunnel is only 6 minutes at 25 mph, but the opening can be delayed or there can be a line before you enter. Give yourself another 20 - 30 minutes to get through the tunnel. By car and motorcycle, the one-way toll to Whittier is $13. Vehicles pulling trailers must pay $22. Small buses and regular RVs are charged $38. These are only charged at the Bear Valley tunnel entrance to go to Whittier. There is no toll from Whittier. If your ferry leaves or arrives from Whittier, figure in possible delays in the driving time needed to reach your destination because of the tunnel. It’s important also to be aware of the time your ferry comes to or departs from Whittier to make sure the tunnel is open. That’s to know if you need to book a motel the night before or after your ferry. If not, you can just drive away like we did.